As we know, I am a creature of habit. I like things a certain way, at a certain time, on a certain day. I do like a little bit of disarray, but only on my terms. 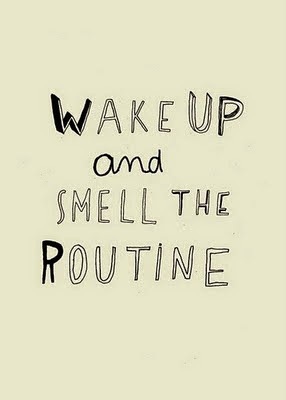 A routine is pinnacle to this. I have two diaries. One for life, shifts, appointments, kiddie stuff and another for blog posts. Scheduling, blog ideas, themes... I think you may be getting my drift. I also like to do different things in my house on different days. 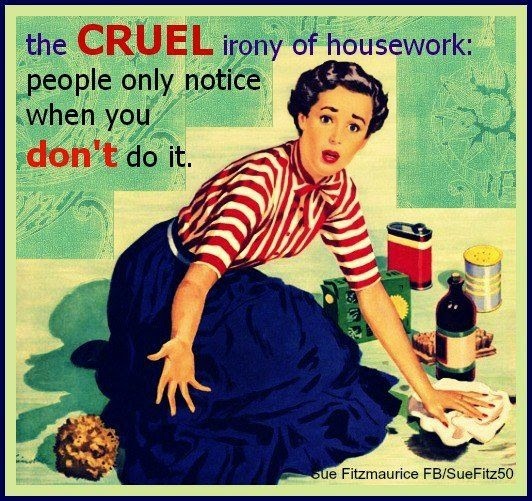 For example, Saturday is a day for deep cleaning the kitchen. If I miss it, I get flummoxed. And over the past six months I have spent an awful lot of time flustered as the pile of clothes in the corner of my bedroom grows ever taller. One of my challenges for this year is to have a fully organised home by the end of December 2015. Surely this is a possibility. The children are now seven and nine-years-old so are more than able to undertake some bits and bobs, and the husband - for the first time in a long time is home more than I am - so there are things he can do too (except the washing, he already does that). With this in mind I need a plan of action. A daily to do list as it were. I also need to actually stick to the list. Funnily, having a list written doesn't magically make the jobs get done. Which I find is a huge shame. Inventors of the world take note. This would be a fantastic thing to invent and would make you rich! This list need to cover the whole house. Starting with the extraordinary deep clean to get everything where it needs to be, so that the easier tasks of maintenance can be concentrated on. 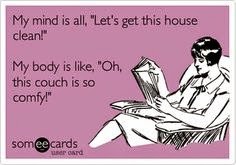 I'm not exaggerating when I say that I have managed to turn parts of my house into something that resembles a before picture on a hoarder's programme. I cannot put into words just how embarrassing that actually is. Now for the nitty gritty of it all. I work shifts. Alternate patterns from one week to the next, apart from weeks with a Bank Holiday in them, then that is a whole other ball game. A flexible plan, is needed, and a speedy one at that. In January I am going to be focusing primarily on the Kitchen. With backing vocals covering the rest of the house. 3. Wash up items that don't fit or go in the dishwasher. 4. Put those things away. 6. Clean down the sides I've cleared. 7. Clear kitchen table and dresser side. 12. Sort the food from fridge. Put spoiled foods in the brown bin for recycling. 13. Organise the cupboards - this one will be labour intensive, I need to reduce the amount of things I have in my kitchen. 3. Wipe down sides, after clearing. 5. Sweep floor, quick blast with mop if needed. As for the rest of the house. The Extraordinary clean will come month by month with a special guest star task. 2. Empty bins. No one wants to take an overly full to splitting bag out.